A child abuse registry created in 2010 to help child care providers screen out potential employees with findings of abuse or neglect has glaring gaps that could leave many Oklahoma children at risk. That’s according to Sen. AJ Griffin, who requested an interim study to look at the issue. The Senate Health and Human Services Committee heard testimony Tuesday about the child abuse registry known as Joshua’s List, named for a two-year-old killed by a family child care home provider. Griffin said the legislation directing the creation of the registry contained loopholes that need to be closed. The registry contains individuals who have been convicted of child abuse or neglect, but also those individuals who were investigated by the Department of Human Services and child abuse or neglect was substantiated, but no criminal charges were filed—something that may happen when a prosecutor feels the available evidence will not meet the standard necessary to prove the crime beyond a reasonable doubt. Currently, only providers and child care employees or potential providers/child care employees associated with a DHS licensed child care program are eligible to be placed on Joshua’s List. The registry does not include unlicensed child care providers or child care staff employed at state operated facilities, including the OKDHS Laura Dester Emergency Children’s Shelter and 30 facilities operated by the Oklahoma Office of Juvenile Affairs. 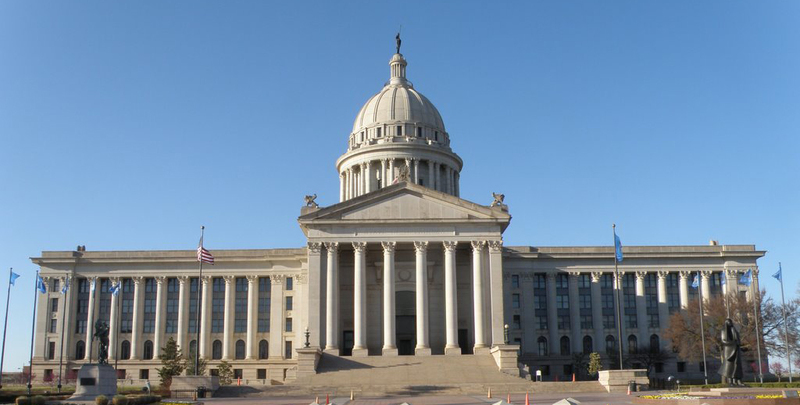 According to Maura Wilson-Guten, chair of the Child Protection Coalition of Oklahoma, this is the only state that does not support a central registry of individuals who have substantiated findings of child abuse and neglect. While schools, non-profit/volunteer organizations and employers of those who work with children can obtain criminal background checks, not all substantiated findings of child abuse result in criminal charges being filed. As a result, 89 percent of individuals with substantiated findings of child abuse and neglect go undetected by organizations. “This leaves a big hole for us and is a major area of concern,” Wilson-Guten said. Tenna Whitsel, Director of Family and Community Engagement for Tulsa Public Schools, echoed those concerns. She said statewide, Oklahoma employs 42,000 certified teachers and uses the services of countless support staff and volunteers—but criminal background checks and screenings won’t catch cases where DHS has substantiated abuse, but no criminal prosecution took place. “When you think about the number of people we hire in our education system, chances are that we’ve opened our doors to some people that we would not want to be around our children,” Whitsel said. Griffin said she and other lawmakers would be working in the coming session to close those gaps and improve Oklahoma’s child abuse registry.